Television Maxi Poster: The 1996 film 'Fargo', written and directed by the Coen brothers, was a massive success and it is still considered both popular and significant today. It gave birth to a recent television series, inspired by this critically acclaimed film, which stars Billy Bob Thornton as the protagonist of this television spin-off series. The Coen brothers act as executive producers and keep the show rooted in black comedy which the original film was renowned for. 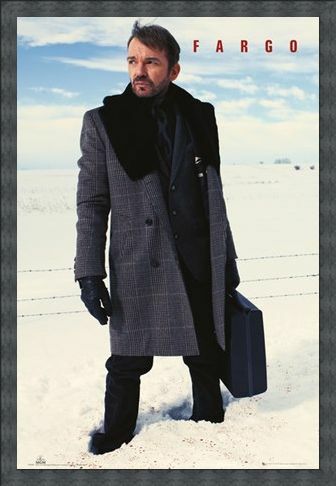 High quality, framed Lorne Malvo, Fargo poster with a bespoke frame by our custom framing service.